Safe workplaces are sound businesses. Successful safety and health programs can proactively identify and manage workplace hazards before they cause injury or illness, improving sustainability and the bottom line. 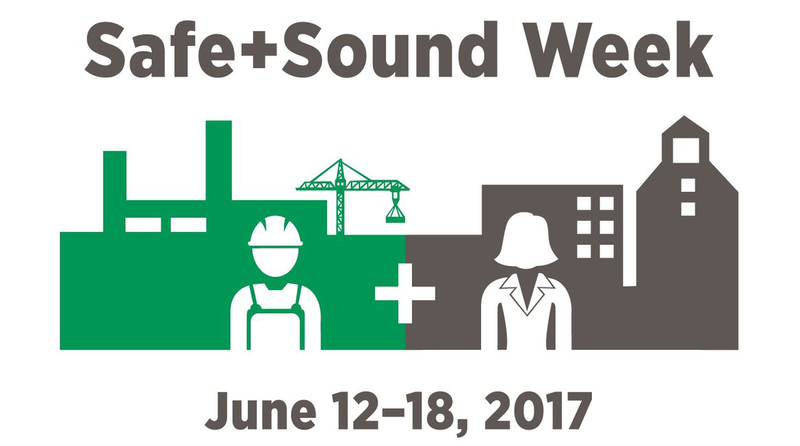 It is OSHA’s belief that participation in in Safe + Sound Week can help get successful programs started or energize existing ones. Organizations of any size or in any industry looking for an opportunity to show their commitment to the safety of their workers, customers, the public or supply chain partners are encouraged to participate. Companies should begin by planning activities and events that include at least one of the core elements of a successful safety and health program: management leadership, worker participation, and finding and fixing hazards. OSHA welcomes companies to customize the activities for their organizations or create their own activities. After companies have completed these events, a certificate and web badge can be downloaded to recognize their organizations and their workers. To view a whiteboard animation video about this initiative, click here. For more information, visit www.osha.gov/safeandsoundweek.